AMCAT Exam Benefits and Fees 2019 – If you are wondering about why you should take AMCAT test then check here all the AMCAT Exam Benefits 2019. We think about the numerous benefits we will get before doing anything. Similarly before applying for AMCAT exam 2018-19, You should the AMCAT exam advantages you will get in return. and you can also know here how much is amcat exam fees or how much does it cost to take amcat exam. 1.2 Why you should pay and take amcat exam? Many fresher takes amcat exam every year and may be you are also thinking of AMCAT 2019. If you are registering amcat exam then, you may have this frequently asked doubts too. How much does the AMCAT cost ? 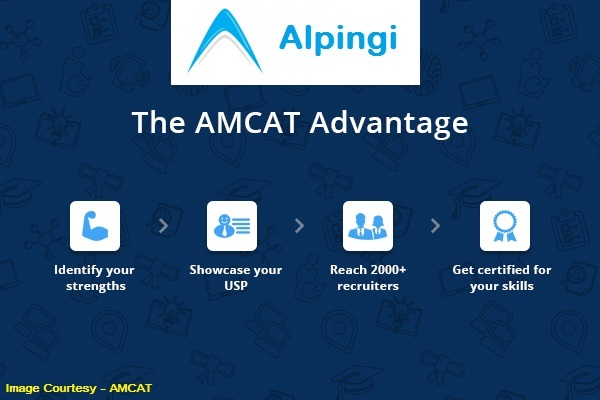 why you should pay for amcat and how much benefits and advantages you will get after amcat exam? The AMCAT Registration has been started for all the candidates who is going to pass-out in 2019 or 2020. All eligible and interested candidates can register for AMCAT on official website of AMCAT. First of all, before going for AMCAT registration you must check the comparison b/w AMCAT & ELitmus exam. If you are looking for amcat examination fee then you can get here fees breakup for 2017 & 2018-19 amcat candidates. AMCAT fees: Rs 990 plus taxes (including a year’s subscription). The cost will cover a scheduled attempt plus all the privileges that come with the subscription package. AMCAT Certificates (recognised by 2000+ companies). Job recommendations from 2000+ companies based on your score. Feedback on assessment of strengths, weaknesses. Validity of your AMCAT score + Access to all hot and premium Jobs. If you opt for an additional 1-year subscription, you gain a two-year access to the privileges that come with the AMCAT test. This translates to a Rs 900 extra. A 2-year subscription (1 base year plus two years) will give you a three-year access. 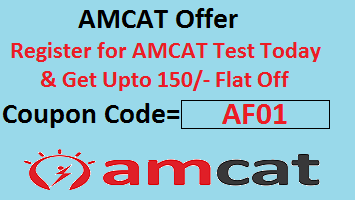 Why you should pay and take amcat exam? If you are unemployed and passed out from college then believe me you are about get rare opportunities. there is huge unemployment out there and you want to get yourselves out of crowd then you need to schedule the amcat exam. The cost of the AMCAT test is a small price to pay in comparison to the AMCAT advantage that a candidate can receive from it. That’s all with AMCAT Exam Benefits and Fees 2019. Lets schedule an AMCAT test today. can i give one exam in patna and the second one in bangalore? Sir i m 2015 batch passout.i waa doing teaching bt now i decided to come in corporate line..bt i m not geting job..so i can apply for amcat. Usha, You need to pay again for the test. This is the one time opportunity payment. If we fail one time in amcat again we want to pay fee to write exam ?